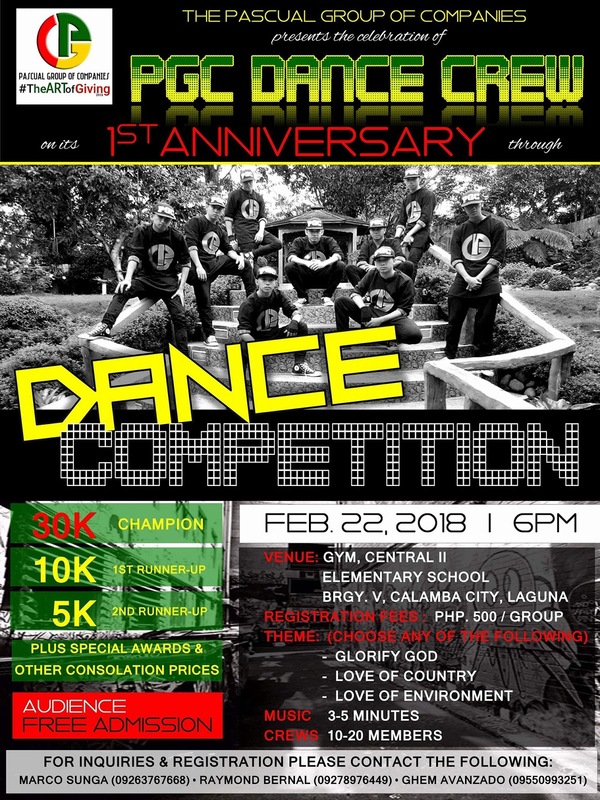 We are inviting interested dance group to participate to a dance battle contest on Feb 22, 2018 to be held at the Gym of Central II ES in Calamba City @7pm.. if u r interest just send ur videos for screening at pgcdancecrew22@gmail.com or u may contact the ff. Emon 09278976449, Marco 09263767668 & Ghem 09550993251. Big prizes awaits for the winners & there r still few slots for the said contest.